My heart is heavy this week, a man to whom I had great affection has died. I never met this man, I have never even seen him on the street, but he shared worlds with me. And he made me laugh, oh how he made me laugh. He made me uncomfortable with truths that I tried to ignore. He made me look at the world in a new way, to see beyond the mundane to the magnificent. He made me laugh and he made me cry. Each story he told stretched me and expanded my worldview as he showed the greatest heights of our whimsy and the deepest depths of our pain. But his last story, I can’t quite figure out yet. What is the message? What is he trying to say? I don’t know Robin Williams story. Yes, I’ve seen documentaries and heard about him, but I don’t know him. I don’t know what happened to him or what caused him so much pain. I know that his death is a tragic loss to us all. I know that if he had died of a health complication or in some sort of unfortunate accident, I would feel a loss, but not like this. I know that because he died of suicide my feelings are different, my feelings are stronger, and some of those feelings may be guilt. Guilt seems like an odd reaction to the suicide death of a man you’ve never met. But I think what I’m feeling is a cultural wide phenomenon. It’s part of the reason that Robin Williams death has caught up so many people. We feel guilty because we support a culture that can leave people so isolated. We are part of the system that enabled Robin Williams to die alone and scared. 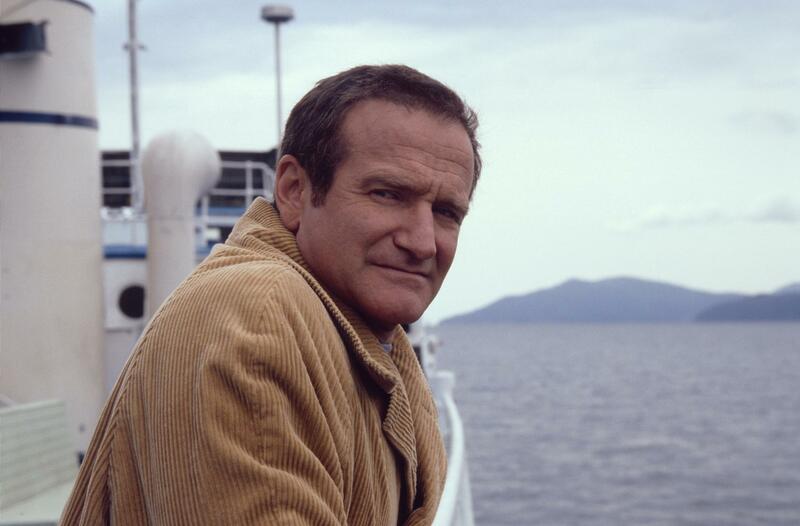 We laughed and laughed while deep down in Robin there was pain and an emptiness that comes from depression. This must have been a very deep level of depression for it to end like this. And all the while, we laughed and smiled and thought it was all in fun. I think that we need to take a deep look into the world that we are creating. I think that we need to spend more time developing communities of meaning and less developing shallow relationships of transience. And I think we need to keep on laughing. There is a problem in our culture that needs to be directed to a better more positive model for society. I don’t have a full answer for how to resolve this. But I believe that our loss of Robin Williams and the way it has shocked our culture implies a moment of awareness that something is off kilter and needs to be resolved. But I also don’t think that the end of laughter would solve anything. I don’t think Robin Williams would have wanted it to end that way. I don’t think that we should consider for one moment that his work was all a lie. It wasn’t. It was sincere and solid and a reflection of a whimsical soul that enjoyed making people smile and laugh out loud. There is work to be done. This is a time for personal and cultural reflection. And we must consider the direction we are going and the course correction that must be made. Above all. Keep On Laughing. Thank you Robin Williams for all you gave. I’m sorry we have lost you, but I’m so glad that you shared your life with us. I do understand what Robin Williams went through and why he finally ended his life because he was in so much pain. I am a gregarious sometimes over the edge person. I love life and I feel I am my authentic self when I am at my most bizarre. But along with my gregarious self who can turn any tragedy into laughter, there is a dark side. I have a therapist and a psychiatrist.Sometimes I think I don’t need them at all. And then everything falls apart. I have learned to live each day individually. I have been in such a dark place that I have attempted to end it all 2-3 times.The pain is so awful that you are ready to try anything to stop it. Sometimes the only solution I saw was ending my life. Recently I was having trouble with my medicine and I was holding on by a single thread. Nothing worked and we tried a lot. It went on for a long time. I promised my therapist that I would never try killing myself again. That may have been the only thing that pulled me through. Then one day I went to see my psychiatrist and he looked over the long list of medicines I had tried and had not worked. He chose something I hadn’t tried probably out of desperation (mine and his). Suddenly everything changed and I saw the sun and my children and everything was right again. But I have learned to realize that at any time I could fall apart again. I do not dwell on it. It is the truth and I have accepted it. I try many ways to avoid the darkness. I stay in touch with people. I do things I want to do with or without anyone else. I meditate. I get exercise. I read a lot. I keep animals near me. They keep me calm and balanced. Just holding one of my cats could save my life. I am committed to living my life until the end.I know how many people it would hurt if I killed myself.If I can’t live for myself, I must do it for them.